We could see why Rockies won´t win NL West Division this year. The main reason is weak batting. Dante and Walt have problem to wake up our batters. If Rockies had the best batting in April now they has to be the worst. I don´t understand what happened. Why Dexter can´t hit? Where are homers by Arenado? And what about weak batting by Josh? 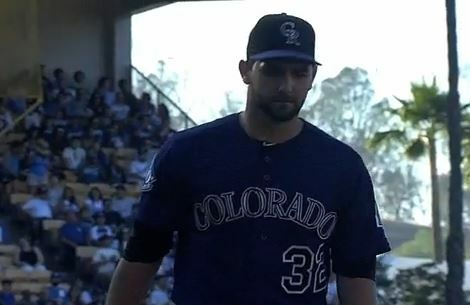 But CHATWOOD…. this guy was amazing tonight. He gave us chance to win. Tyler pitched 8 innings and allowed only 4 hits, 1 run and 1 walk. Unfortunatelly it wasn´t enough to win. Now I can write it. Tyler is our best pitcher. Congratz to Dodgers´pitcher Zack Greinke. He had shut out complete game. Nice performance.